What makes a car go? What does the doctor see in your throat? How does mushy dough become a crispy cookie? 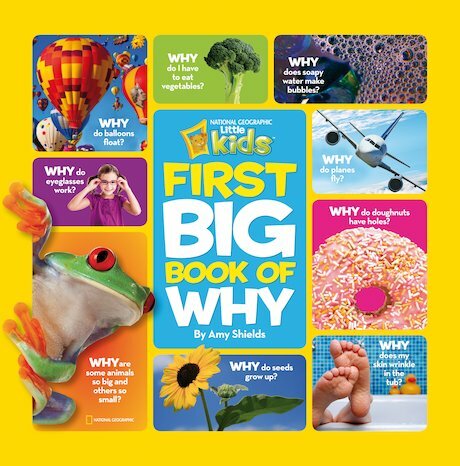 All those WHYS are answered in this bumper book of Q&As, games and crafts! Bringing the exciting world of National Geographic to curious preschoolers, this interactive book is packed with lively information, hands-on games, simple recipes, crafts and much more. It invites children to ask big questions, think big thoughts, and get answers that are accurate, engaging and age-appropriate. A must for kids – and for parents who need instant answers to the endless cries of “why”!